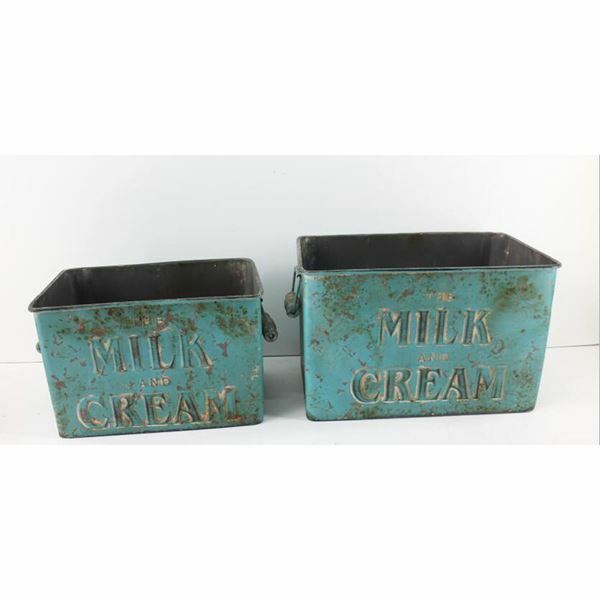 Bring vintage farmhouse charm to your home with the Set of Two Blue Milk and Cream Boxes. Each box features handles and has a distressed, antique blue finish that perfectly complements the “The Milk and Cream” inscription on the front of each box to create a reclaimed feel. Set of two milk and cream boxes. Metal construction with wood handles.